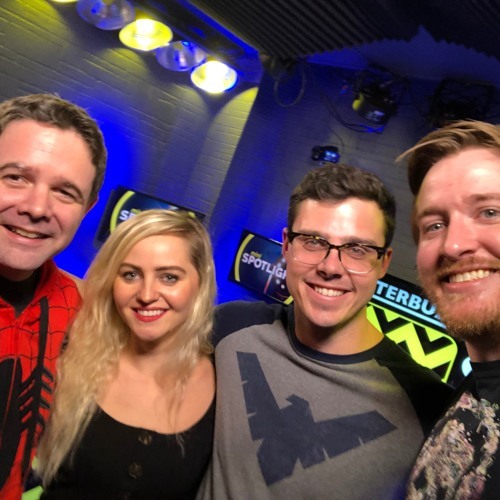 Christian, Agent Starling and Captain EO are all back in studio, joined by Xia Anderson, talking about a variety of topics, including some that perhaps could have been edited out and could be career-threatening to everyone a few decades from now. Topics include the 300 Bladtcast listeners who make up Ride-or-Die contingent, just how much time Christian and Xia spend talking about Marvel for Afterbuzz TV, which leads to a conversation about 4 upcoming Marvel animated series for Hulu and how Will is actually reading some Marvel comics and a few tittles that Christian has subscribed to, Titans TV series, why Xia doesn't like Runaways, The Gifted and Cloak and Dagger Plus, there are British accents, cajun accents, a surprising associate of someone's spouse, the tale of Jeff vs. a GPS, the introduction of two new characters Harriet Vagstein and dueling Alex Joneses, and a possible concept for a fourth Home Alone film. Xia fits right in with the guys (which may or may not be a compliment) and they get around to some tried-and-true Bladtcast EXPLICIT MATURE CONTENT when Xia asks the guys a simple question, to which Jeff has a well-thought out answer. Download Bladtcast #313 - "Ride or Die (with that Haole Girl Xia)"
Users who like Bladtcast #313 - "Ride or Die (with that Haole Girl Xia)"
Users who reposted Bladtcast #313 - "Ride or Die (with that Haole Girl Xia)"
Playlists containing Bladtcast #313 - "Ride or Die (with that Haole Girl Xia)"
More tracks like Bladtcast #313 - "Ride or Die (with that Haole Girl Xia)"